Check out THIS client's experience! * Double your email list to create a thriving fan base to launch to in the future. * Incentivise people to buy your book NOW, to get a quick cash infusion for your business. Before, all we had was an idea. Now, through her advice and expertise, we have a plan. Kim is a coach whose care for your project is outmatched only by her care for you as a person. It is not just about a book for her. For Kim, it is about seeing how she can help anyone be the best person they can be. Kim is a down to earth, realistic dreamer. She wants only success for you and your project but is not willing to sacrifice you as a person to get it. But that's not even the BEST Part! ALL INCLUDED in your course! I've loved sales and marketing since I was a teen, and began writing even before that. As a paid published writer for 15+ years, I have a unique ability not only to write, but also to market that writing. Most writers don't, I've noticed, and it pains me to see people work so hard - to write that book, or even start a business, only to have it remain obscure. In 2017 I used my marketing know-how to launch my collection of garden themed meditations in 2017. The goal: to double my email list in 24 hours. I made a lot of mistakes I learned from, (like offering the book for free and then offering it for sale to those same people... oy vay),and I learned a lot about what works and what doesn't. I began offering my marketing services (coaching and social media management) in 2017, and my clients began seeing even better results. Sales. Increased engagement. Huge boosts in awareness of their mission and offer. I WANT YOU to get those results too. I. am. PUMPED to help you get YOUR books into more hands too! As soon as you purchase your course, you'll receive a welcome email within 24 hours. Coaching and instruction in the Facebook group begins on Monday November 27th. If you're one of the first 5 students who also got the free month of coaching calls, you'll be messaged individually to arrange a time that works for you. Here's the thing. This course will sell for $397 in a few months. Lucky you! You can get in for the pre-launch price of $197! That's LESS than HALF price!!! Then the door closes, we go through the launch course supporting and helping each other, and then the doors open again in a few months at $397. 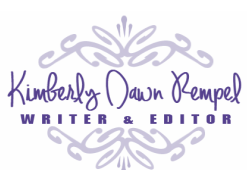 * You have a well-written, published book, ideally that has already been professionally edited and designed. * You know online and offline marketing are both important, and are willing to do both. * You have a website and email list, or are willing to create one. ​* You're willing to do the work. Because this is work, folks. Does the book need to be new, or can I relaunch an old book? In the words of Derek Halpern, "What are you, crazy? You don't make another thing, you relaunch the old thing!" Or something like that. It's a second-hand quote that I may or may not have butchered a tiny bit. But yes, this will work for a new launch or a relaunch! What if I don't have an email list or know how to make one? No email list, no problem. We'll work on creating that in the course. It would be good to set it up, though. I use Mailchimp. It's free up to 2000 subscribers and reasonably priced after that. Plus it's super easy to use. Get a headstart on setting it up here. Setting up an author website scares me. I don't even know where to begin. If you're starting from scratch, I recommend setting up a site on Weebly, which is what I use. Its drag-and-drop format is super easy to use, they have an adequate selection of templates, and they offer a free plan for you to start with. I've been using Weebly for years and am super-satisfied! What if this course doesn't work for me? Can I get a refund? After your purchase, you'll have lifetime access to the course materials. The methods I'll teach will work if you work them. I'll also make myself available in the Facebook group to troubleshoot any problems, answer questions, and provide additional training as needs arise, to equip you for your best chance at a successful launch. All that takes time, effort, and work on my part too, so no, there are no refunds available. I'm here for you! Your success is my success. I'm not in this to make a quick buck and disappear. I want to help you actually get sales, expand your reach, and get your book into more hands. I will work with you in the Facebook group, and also offer 1:1 accountability coaching if you need that extra boost of motivation and ideas. Starting at $147/month for 4x 30 minute calls each week, my coaching clients are already experiencing results. Can I email you with my questions? I encourage students to keep their questions and troubleshooting in the Facebook group. This helps me focus my energy, and allows the whole community to benefit by seeing your question and the answer. If you're struggling with something, chances are others are too - let's all benefit together by learning in the group. If you need more personalized attention, a 1:1 coaching arrangement can be made.